With hot stove season approaching, the Cleveland Indians are reportedly willing to deal 2-time Cy Young Award winner Corey Kluber. CLEVELAND -- Last week, ESPN's Buster Olney reported the Cleveland Indians would be willing to listen to trade offers for the bulk of their roster -- including 2-time Cy Young Award winner Corey Kluber. On Monday, Jon Heyman of Fancred and the MLB Network reported similar. When it comes to baseball's hot stove season, where there's smoke, there's often fire. As the MLB offseason gets underway, the Indians figure to be one of the league's most fascinating teams. Desperate for improvement but likely without the financial means to achieve as much in free agency, Cleveland will have to get creative in its attempt to close the gap between itself and the likes of Boston, Houston and New York in the American League. Aside from Francisco Lindor and Jose Ramirez -- each of whom is reportedly untouchable -- the Indians may not possess a bigger trade asset on their roster than Kluber. Kluber might currently be the Indians' best starting pitcher, but the reality is they could trade him and still lay claim to one of the best rotations in baseball. Even without Kluber, Cleveland would still have three starters who tallied at least 200 strikeouts last season. 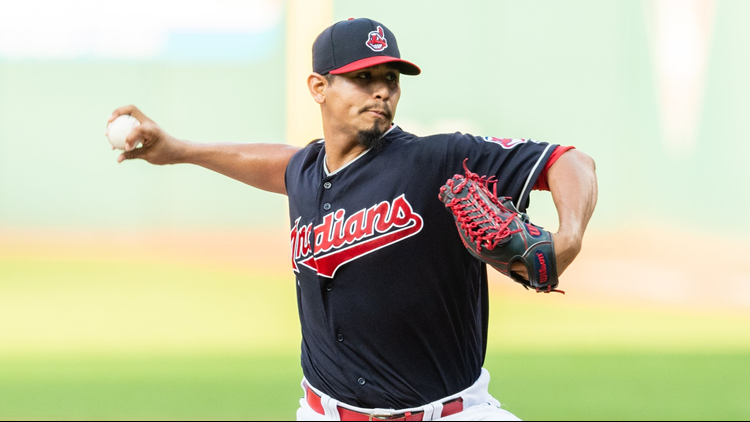 Carlos Carrasco -- who's also been linked to trade talks -- also appears poised to fill the role of the Indians' next ace after recording a 17-10 record in 2018 to go along with a 3.38 ERA and 231 strikeouts. Furthermore, Trevor Bauer and Mike Clevinger are each currently overqualified as No. 3 and No. 4 starters in Cleveland's rotation -- and that's not to mention Shane Bieber's emergence and that the top prospect in the Indians' farm system is 21-year-old right-hander Triston McKenzie. Suffice to say, the Indians' pitching staff consists of an embarrassment of riches. So much so that they could trade a 2-time Cy Young winner and still say the same. CLEVELAND, OH - AUGUST 28: Starter Carlos Carrasco #59 of the Cleveland Indians pitches during the first inning against the Minnesota Twins at Progressive Field on August 28, 2018 in Cleveland, Ohio. If you're going to trade a franchise pitcher, you might as well do so at a time that returns maximum value. And with Kluber having been an American League Cy Young Award finalist in each of the past three seasons -- winning the award in 2017 -- it'd be tough to argue they wouldn't be doing just that. It's also worth wondering how much longer the Indians would be able to fetch the heftiest haul available for the 32-year-old Kluber. Entering this offseason, he still has three years remaining on his contract -- the latter two years of which are team options. Wait any longer and leverage will only shift into the hands of potential trade partners. Although there's plenty of evidence Kluber is still at the top of his game, multiple injuries over the course of the past two seasons -- and a dip in his strikeout rate in 2018 -- could call into question how long that will remain the case. Trading a player at his peak is always a tough pill to swallow. But if the goal is to improve in the present, Cleveland could be wise to fetch the best return it could get this offseason, rather than waiting until the next. To be clear, three starts don't outweigh two seasons' worth of work. But it'd also be tough to argue the Indians have been able to rely on their ace when the games have mattered most the past two years. 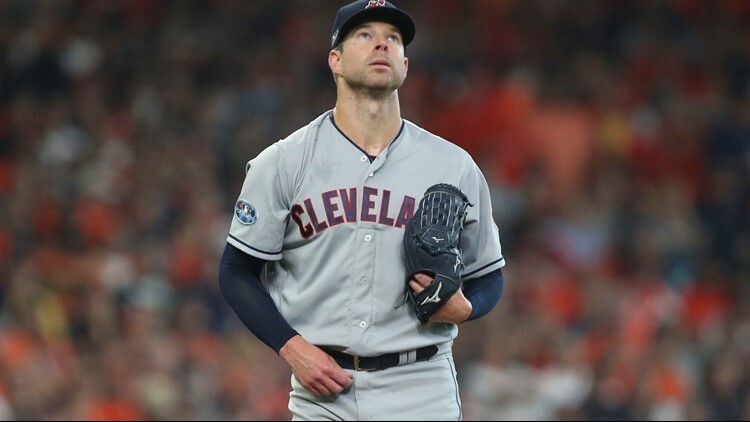 In 2017, Kluber surrendered 9 earned runs in 6.1 innings pitched over the course of two starts in Cleveland's five-game loss to the New York Yankees in the American League Division Series. This year, he gave up 4 runs in 4.2 innings while picking up the loss to the Houston Astros in what was the start of a three-game sweep in the postseason's opening round. Again, this isn't to say Kluber is a "choker" in the playoffs -- his stellar 2016 would indicate otherwise. But his recent resume has been far from stellar and at the very least is something worth weighing when considering whether or not trading the right-hander is a viable option. Entering this offseason, the Indians don't have just one, but multiple goals. In an ideal scenario, they would be able to improve their lineup, shed salary and acquire a few promising prospects. Trading Kluber may allow them to accomplish all three. While Cleveland's first priority should be bolstering its outfield, it's not crazy to think that given Kluber's stature, such deal could also include a quality minor league also coming back in return. The Indians could also attempt to add one of their less attractive contracts -- say, Jason Kipnis' -- to the deal, in an effort to free up salary to spend elsewhere. Even if one part of the equation doesn't fit, accomplishing two of the three goals could prove beneficial, even if it requires Cleveland trading its 2-time Cy Young Award winner. Simply put, the Indians need to get better this offseason and can't afford to trot out the same lineup on Opening Day that just got swept by the Astros -- minus key pieces like Michael Brantley and Josh Donaldson. The Indians could -- and likely will -- try to trade a player like Edwin Encarnacion, but it's unlikely that will help their lineup more than it will harm it. Especially with Brantley likely to walk in free agency, Cleveland needs to maintain all of the power that it can. Unless they're going to be big spenders -- and they're -- then moving one of their starting pitchers appears to make the most sense. Maybe that will be Carrasco. But when you look at all the factors at play, trading Kluber may not be as crazy as it probably first seemed.